A second person has been charged with murdering a man who died after being stabbed in the leg. Courtney Valentine-Brown, 36, was found injured at an address in Roots Hall Drive, Southend, just before midnight on 21 February. He died in hospital. Alex Stephens, 36, of Hamlet Court Road, Westcliff, is accused of killing Mr Valentine-Brown, from Southend. Ian Slater, 49, of Leigh-on-Sea, is also accused of murder. He is due before Basildon Crown Court in April. Mr Stephens is scheduled to appear at Southend Magistrates' Court later. 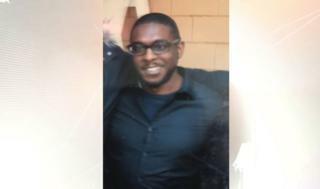 A post-mortem examination confirmed Mr Valentine-Brown suffered a stab wound to the leg. A 43-year-old man, from Westcliff, has been arrested on suspicion of murder and remains in police custody. A woman, 30, who was arrested on suspicion of conspiracy to murder, has been released on bail. A 28-year-old woman from Westcliff who was detained on suspicion of permitting premises to be used for drug supply and obstructing a police officer has also been released on bail. A teenager, 17 and from London, arrested on suspicion of intent to supply Class A drugs, has been released while inquiries continue.